Paragon Media has recently acquired Australia’s leading Business Catalogue publications. 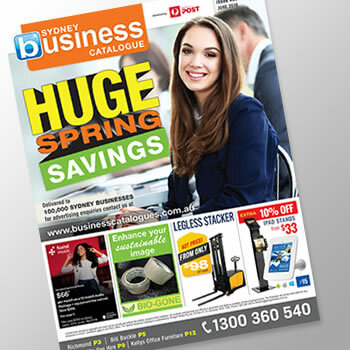 Delivered with business mail right across Australia, the catalogues offer advertisers a unique opportunity to reach potential clients. Established for over 15 years ago, the six catalogues are each published five times a year, with a combined print run of over 2 million copies per annum.